One of the first things we learn in the DTS is the YWAM motto which the mission is founded in: “To know God and to make Him known.” Yet one cannot possibly claim to know God if he/she does not even know His Word. So in the DBS, we make the Bible the student’s companion for life! The student will discover the unified story of the Bible, be discipled by the Bible and will fall in love with the Author of the Bible. In this 12-week introduction to the Bible, the student will be given an overview of “God’s story” and will discover the purposes of God. The student will read the entire Bible, observe the chronology of biblical events, better understand each book in its historical context, understand the harmony between the books, be able to recognize the different genres of literature, and for each book, know why it was written and what the main idea is. The student will learn the foundational truths of Christianity by going directly to the source. You will be able to share your faith more confidently with those who are seeking (evangelism) and explain the Word of God more accurately to those who’ve already come to faith (discipleship). The course is like a sequel to the DTS. Students continue the discipleship process begun in the DTS by addressing a variety of topics illuminated in the Scriptures, by building godly character and developing a lifelong hunger and love for the Word. This will not only be accomplished in the classroom, but also outside the classroom, through one-on-ones, small groups, plus evangelism and mercy ministry in the community. 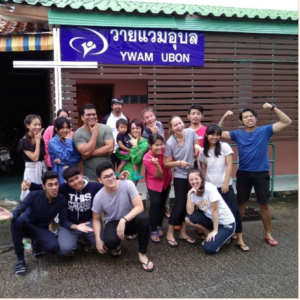 YWAM Ubon is an International Base with a multi-cultural team making up of people from many nations and we welcome you to encounter and experience this rich diversity. 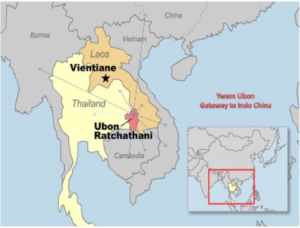 We are located at the heart of Indo China, where the least, the last and the lost are located, and where less than 0.2% of the people have yet to hear the gospel. We have a vision to see the transformation of the nations, and Seven Spheres of Society through Holy Spirit empowered and Bible-based discipleship. Doing your DBS in Ubon means you are at the heart of where the action. You get to not only study The Word but will be able to apply it immediately by being part of our ministry team to reach out to the lost and to disciple new believers in the villages weekly. 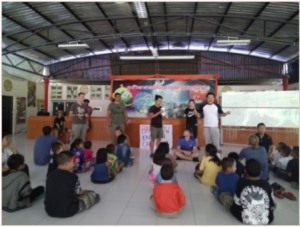 We are one of the few bases that have a one month of outreach phase included has part of our school. We see this as an important part of the student’s growth to know Him and making Him known. 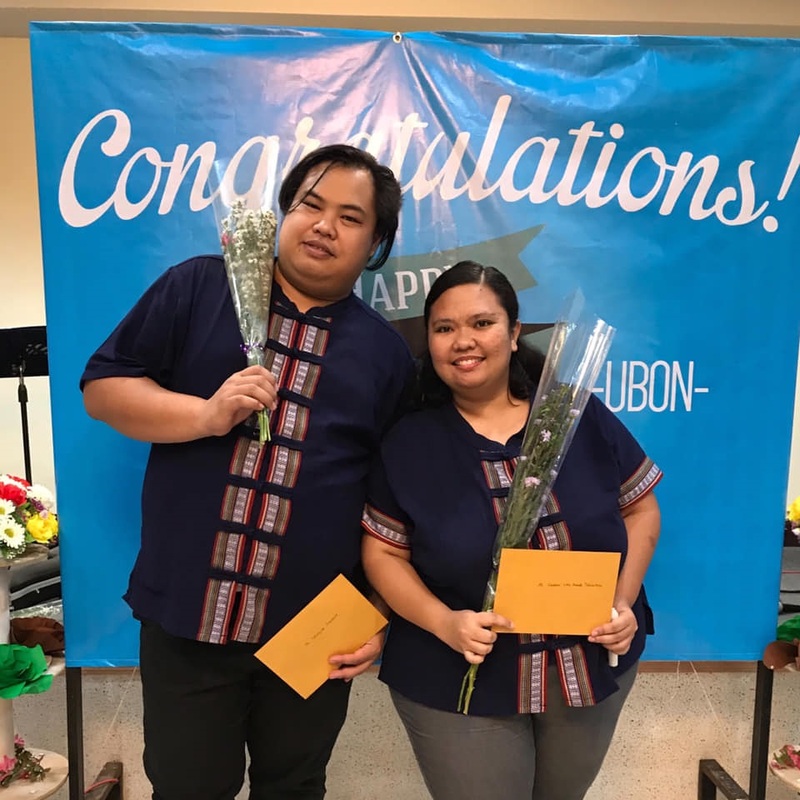 Talerngsak (Toto) Prawanta and Stephanie Tampubolon are Bible training leaders with YWAM Thailand. The couple, together with their son, currently resides in Ubon Ratchathani, Thailand. Toto, a Thai, and Stephanie, an Indonesian were married in 2013, and have worked in the North, South, and now Northeast regions of the country. 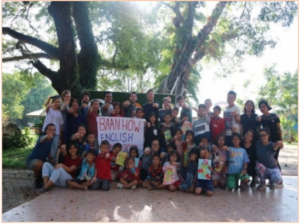 They have a heart for discipleship and are especially passionate about championing the local Thais and seeing them fall in love with God’s Word.